If you are going to be getting a tax refund this year, you’re probably already thinking about what you can spend it on. While some people take lavish vacations, they wouldn’t otherwise be able to afford, and some put their annual windfall into savings, since you’re reading this guide it’s reasonable to assume that you’re planning on upgrading your home with your tax check. This is a great idea! Investing in your residence will not only increase your overall property value, but it will make you happier every day when you pull into your driveway. 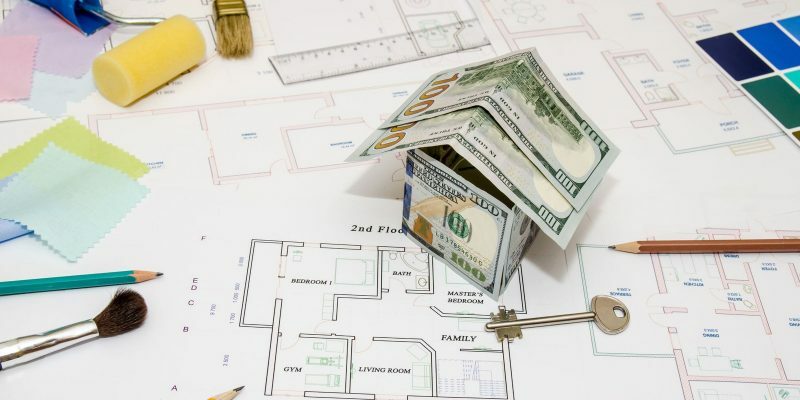 There are dozens of different renovation projects you could do with your tax refund in 2019, but some options are better than others. The remodeling ideas that are outlined in this guide are not only good for the potential resale value of your property, but they are sure to bring joy to your family and friends as long as you live in your house. This makes them the best options for what to do with your future tax refund! Update your outdoor space – North Carolina and South Carolina homeowners know how important outdoor living space is. Since most parts of these states have nice weather for the majority of the year, outdoor areas are heavily utilized. If you’ve been wanting to upgrade your yard, perhaps by adding a deck or a pool, tax refund season is the perfect time to do so. Not only will you have the extra money, but tax checks generally arrive right before the warmest seasons of the year, meaning you’ll get a lot of good out of your new backyard additions. Add kitchen upgrades – Few rooms in the home have as high of a return-on-investment as the kitchen. It is not uncommon for people to spend more of their waking hours in their kitchens than they do anywhere else in their homes, so it’s essential for them to be excellent. Whether you’ve been thinking about overhauling your space entirely or just adding a few upgrades, like new appliances and drawer hardware, your tax refund check will give you the means to make your kitchen vision a reality. Change the look of your bathroom – Bathrooms, like kitchens, tend to have a very high return-on-investment, not to mention that having a beautiful bathroom can make you feel like you’re living in a high-end hotel. Bathroom upgrades, while often expensive, are almost always worth it. Consider using your tax refund check this year to add upscale finishes to the most boring bathroom in your house. In no time, it is sure to be your favorite! Regardless of how you intend to spend your 2019 tax refund on home renovations, the Hatch Homes crew is up to the task. Call our office to discuss your ideas and schedule a preliminary appointment with one of our experts. We can even help you figure out which projects you should focus on right now to get the most bang for your buck. Our primary goal is for you to be in love with your home! We look forward to meeting you soon.